neither of whom has played golf before, and the child worries far less about the technical. They keep it simple in their minds. belonging and a whole lot of fun, laughs and great social experiences. every time they go out on the golf course for the rest of their life. 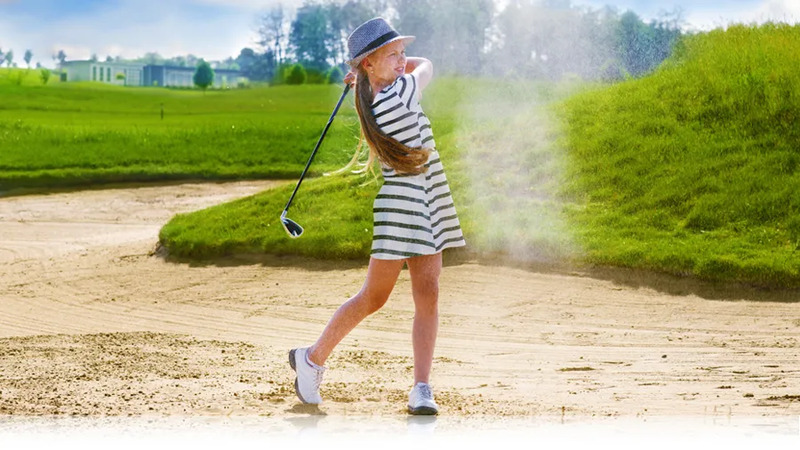 If you have a child or grand-child, then let us get them into golf while they find it so easy.